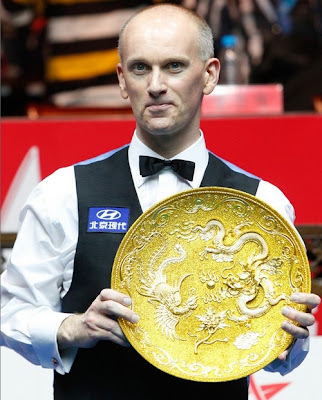 China Open 2012: Peter Ebdon won his second China Open title after 2009, beating Stephen Maguire by 10-9 in the marathon final. The 41-year-old led Maguire by 5-1 with two tons after the afternoon session, which nine frames should be played instead of six but the session ended after frame 6 due to slow progress of the match. 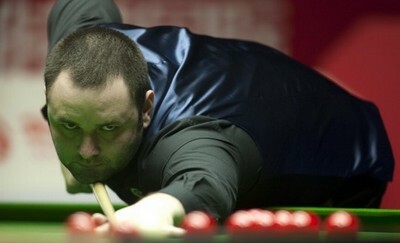 Maguire started his fightback at the night session, trailing Ebdon by 4-6 at the mid interval. 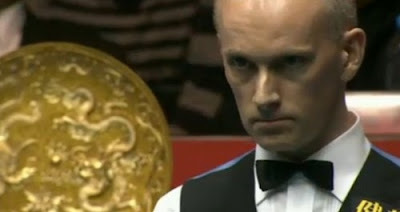 However, Ebdon went 8-5 up before The Scotsman won three frames in a row to level 8-8 for the first time in the final. Despite of losing three in a row, the 2002 World Champion got the match point 9-8 with 103 but it did not stop the footsteps of Maguire to force a decider. In the deciding frame, Ebdon won by 62-24 to capture his second China Open title. This is Ebdon's first title in 36 months. He also ensured a place in this year's Premier League, he said: "I'm delighted to win. To be perfectly honest, I feel a little bit embarrassed because I didn't handle the pressure very well today, and I feel that Stephen played better than I did, and I feel that he deserved to win. I'm delighted to win, but disappointed with my performance and that I didn't handle things better tonight.